There are many fun things to do in Cozumel that will enhance your vacation into lasting memories. While you are on Cozumel you can visit such remarkable natural places like El Cielo and Punta Sur where the snorkeling and white sand beaches are spectacular. You can choose to go sailing, snorkeling and scuba diving in an area that Jacques Cousteau made famous in the 1960s with his explorations. Family-friendly Cozumel attractions include swimming with dolphins, a day trip to Xcaret and an incredible submarine ride into the depths of the wild Caribbean Sea. Don’t forget about all the Mayan cultural sites, some of the best Cozumel acitivites where you can visit too such as Chichen Itza and San Gervasio. Whatever thing do in Cozumel you decide upon you will have lasting memories for lifetime. You will be amazed at the variety of archeology tours available when you are looking for interesting things to do in Cozumel. 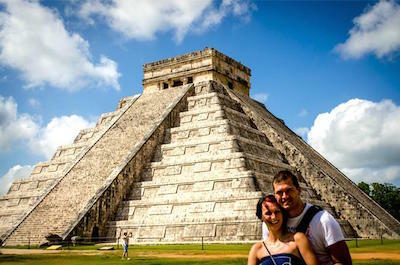 On your archeology tour you will venture like Indiana Jones to some of the most famous Mayan ruins in Mexico. Archeology tours in Cozumel are family-friendly and you will learn about one of the world’s most advanced ancient cultures. While you are in Cozumel you can visit San Gervasio or you can take an archeology tour off the island at the jungle city of Coba or the walled seaside ruins at Tulum or you can stroll through the UNESCO World Heritage Site at Chichen Itcha. You will enjoy the beautiful scenery to and from your destination while riding in a comfortable coach. Whichever archeology tour you choose, you will be fascinated by the ruins and the history of the ancient Mayan civilization. 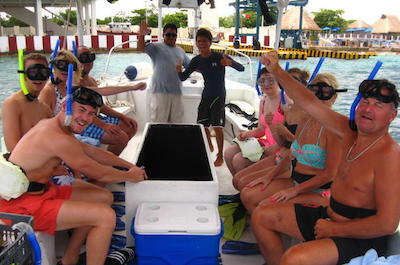 If you are looking for an exciting thing to do in Cozumel then you should try an interesting glass bottom boat tour. While you are exploring the Caribbean Sea on a glass bottom boat tour, you will view beautiful fish and extraordinary coral reefs. Most glass bottom boat tours include the opportunity to snorkel in such awesome coral reefs as the Columbia Reef and Palancar which is a center piece of the Cozumel Reefs National Marine Park. You will be fascinated by the colors of reefs and the various marine species like eels, sea turtles and barracuda. You won’t be disappointed with floating in El Cielo or taking a short break on a pristine beach to relax. The best thing about choosing a glass bottom boat tour is you can mix and match other adventurous activities into a fantastic day. Snorkeling is probably the most popular thing to do in Cozumel because of the beauty of the Caribbean Sea. Snorkeling is also a great choice for you because you can choose various transportation options which enhance your day with more excitement. You can decide whether you want to spend the day at Mr. Sanchos Beach club and snorkel just offshore or you can select to travel by dune buggy to Punta Sur. Once you enter the warm water and view the beautiful coral reefs and marine life, you will know why snorkeling is a must do in Cozumel. 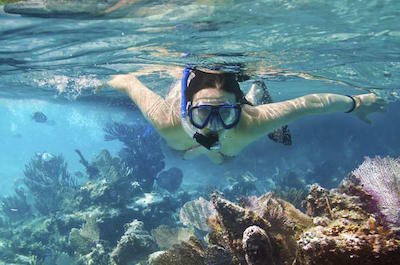 There are a variety of water travel options when snorkeling in Cozumel such as sailing on a catamaran or a glass bottom boat to such destinations as Chankanaab Park and El Cielo. No matter which snorkeling tour you select, you will have a spectacular day on Cozumel. An Atlantis submarine tour in Cozumel is a perfect thing to do in Cozumel when you want to experience all the beautiful marine life of Caribbean Sea without getting wet. Atlantis submarine tours will take you to depths of 100-feet underwater while you sit comfortably in this ultra-modern submarine while your captain gives an interesting narrative of the underwater world you are experiencing. While you are on your Atlantis submarine tour you will explore incredible beautiful coral reefs and the superb marine life around Cozumel such as tropical fish, reef sharks and dolphins. Your Atlantis submarine tour will put a smile on your face and create numerous lifetime memories for you and your family. If you are searching for an incredible experience when visiting Cozumel then you should try scuba diving, whether you are a certified diver or not. Scuba diving has been one of the most popular things to do in Cozumel since Jacques Cousteau explored these incredible reefs in the 1960s. You can travel by boat to such famous reef areas like Palancar Horseshoe, Paraiso and many more within the Cozumel Reefs National Marine Park. 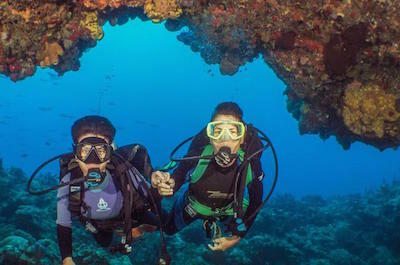 You can choose an interesting scuba diving tour from a 2-tank dive or a 3-day open water certification class and if you are a beginner you can start with an introductory scuba diving tour. If you are a certified scuba diver you can also find that special experience such as swimming with reef sharks for an incredible adventure. Once you view the beautiful underwater world of scuba diving in Cozumel, you will want to come back for more. 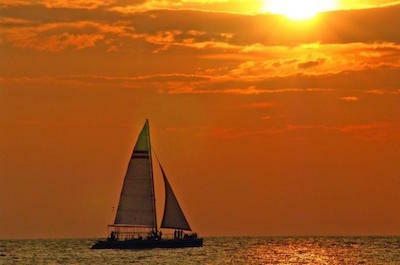 When you are searching for things to do in Cozumel, then you should try a sailing tour. Sailing tours in Cozumel are a unique fun way to enjoy your day while on the island. You can choose a sailing tour which is lively like a party boat or you can decide on just a relaxing private catamaran ride. The luxury catamarans and yachts you will sail are incredible as well as state-of-the-art vessels which come complete with captain and crew. You can add options like snorkeling in El Cielo or beautiful Punta Sur where you will view the brightly colored marine life of the Caribbean Sea and there is even a romantic sunset sailing tour. Sailing tours in Cozumel will satisfy your thirst for exploration and adventure while you are visiting Cozumel. The Tulum Ruins and Tankah Park Eco Adventure Tour from Cozumel is a fantastic thing to do in Cozumel for everyone. Your 10-hour excursion begins when you meet your professional tour guide at the Cozumel ferry docks where you will take a 45-minute boat ride to Playa Del Carmen. In Playa Del Carmen you will board a comfortable coach and travel 45-minutes to the ancient Mayan city of Tulum. Once at this gorgeous seaside Mayan city you will walk for 1.5-hours through the restored buildings that include such fabulous structures as the Temple of the Descending God. You will also experience incredible views of the Caribbean Sea and the white sand beaches located at Tulum. 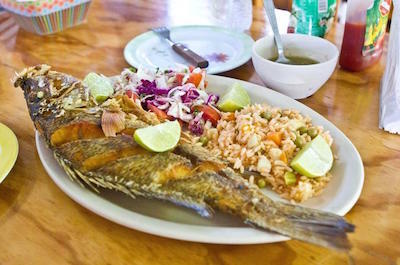 After your tour of Tulum you will be treated a complimentary lunch with interesting local cuisine and beverages. Once you are finished with lunch you will travel 20-minutes to Tankah Eco Park where you will have plenty of time to be thrilled by a 690-feet zipline ride, an exciting thing to do in Cozumel for action aficionados, which will raise your adrenaline level to new heights. You will also view several cenotes such as Cueva and Pirana where you will be amazed by the beauty of these underground water sources. After flying through the jungle you can a take a quick dip to cool off and relax in the gorgeous tropical landscape. After your ride back to Playa Del Carmen your Tulum ruins and Tankah Eco Park adventure tour from Cozumel concludes with a ferry ride back to Cozumel. 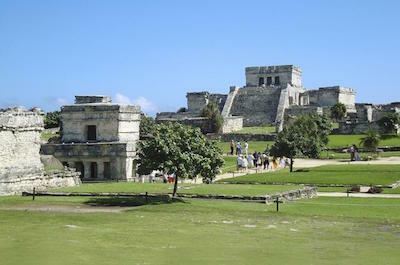 A great family-friendly thing to do in Cozumel is to take a trip on the Tulum Ruins Archaeological Tour from Cozumel. Your 6-hour excursion will begin when you meet your professional tour guide at the ferry docks in Cozumel where you will take a 45-minute ferry ride to Playa Del Carmen. 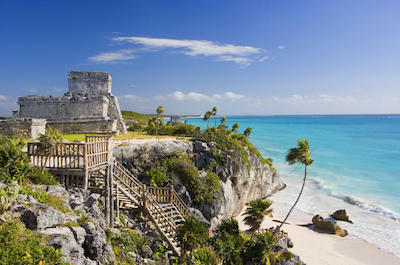 From here you will board a comfort coach and drive 45-minutes to the beautifully restored Mayan city of Tulum. Once at this gorgeous ancient seaside city you will stroll the grounds with your tour guide who will explain the interesting facts about Tulum and the Mayan civilization. You will view such spectacular structures such as the Temple of Descending God, the House of Columns and the views of the Caribbean Sea are fabulous from many vantage points. When you are finished taking photographs and walking the grounds you will be treated to a complimentary lunch before driving back to Playa Del Carmen. 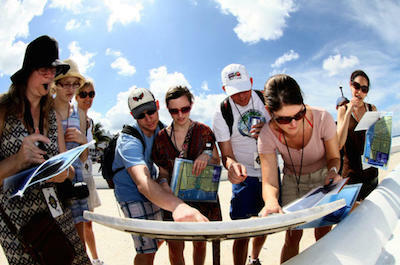 From here your Tulum ruins archaeological tour from Cozumel will conclude with a ferry ride back to the Cozumel docks. 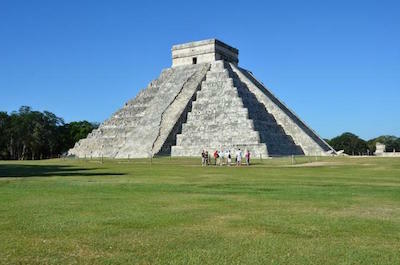 A Chichen Itza Day Trip from Cozumel is a fantastic thing to do in Cozumel for travelers who want adventure. Your 13-hour excursion begins when you meet your professional guide at the Cozumel ferry docks and travel on a ferry for 45-minutes to Playa Del Carmen. Here you will board a Mercedes-Benz van and travel 2.5-hours to Chichen Itza. Along the way your tour guide will give you an interesting narrative about the ancient Mayan culture and indulge in complimentary beverages during your 2.5-hour drive. Once at this UNESCO World Heritage Site you will take a 2-hour guided tour where you learn more about the importance of Chichen Itza to the Mayan world. While on your Chichen Itza day trip from Cozumel you will view iconic ruins like the Temple of Warriors, the Nunnery, the Ball Court and the amazing 79-feet high pyramid known as the Temple of Kukulkan. When you are finished with your excursion of Chichen Itza you will visit Mayaland where you will enjoy 5-course lunch and you can relax on the 100-acre garden areas or poolside. You can also re-enter Chichen Itza without your tour guide and snap some photographs, which is a must thing to do in Cozumel if you want to bring home memories. After you relax at Mayaland you will board your van and travel back to Playa Del Carmen. Your Chichen Itza day trip from Cozumel concludes with your ferry ride back to the Cozumel docks. 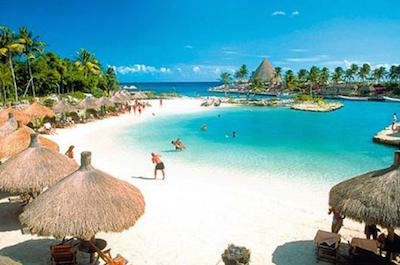 An exciting thing to do in Cozumel is for you to go on an Xcaret Day Tour from Cozumel. You will be happy with your choice when you arrive at this exciting eco-park that combines a cultural learning experience, swimming and beautiful jungle scenery together to make for a perfect day excursion. From Cozumel you will take a ride on a local ferry to the Riviera Maya coastline where you will enter this amazing eco-park that is centered on the Maya culture. Once inside Xcaret you will explore a butterfly farm, aviary, an aquarium and Maya ruins. You can float down the lazy river which snakes through a cave or swim in the lagoon while you are at this Maya paradise. Xcaret day tour from Cozumel is a fantastic family-friendly excursion that will leave lasting memories for years in your mind. When you want to find things to do in Cozumel that are unique and interesting, then you should decide on a mini sub diving tour. A mini sub diving excursion is a great way to view the marine life that lives in the Caribbean Sea around Cozumel. You will enjoy the excitement of exploring this underwater wonderland that includes colorful fish and bright coral reefs. 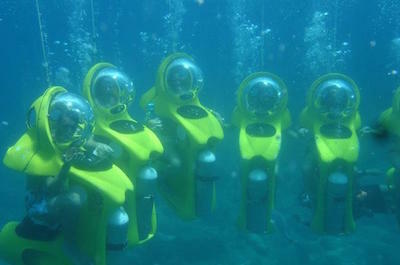 A mini sub diving tour in Cozumel is ideal for everyone and you do not need to have any special experience as your mini sub is equipped with plenty of safety devices. After your guide explains all the moving parts of the mini sub, you will be diving among some of the most beautiful underwater scenery in the world. 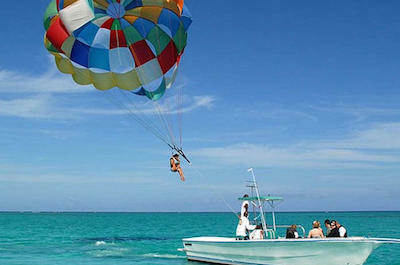 Parasailing is a high adrenaline thing to do in Cozumel that is sure to have your blood flowing faster. Imagine how beautiful the blue and turquoise colored water of the Caribbean Sea will look as you peer downward while you are gliding through the air. Once in the air you will be happy you chose parasailing as you gaze at the beautiful jungle scenery and interesting architecture of the buildings that line the coastline of Cozumel. The views from above will excite you during your flight and the freedom you feel as you reach heights of 600-feet. Another great thing about parasailing in Cozumel is that you can combine this excursion with snorkeling or perhaps an hour on a jet ski. Parasailing includes all the necessary equipment you need to make sure your flight is safe. Cultural and food tours are a relaxing thing to do in Cozumel while you learn about the history and culture of the island. You can experience making chocolate at a local factory where you can sample the sweetness of your work or you can sample local culinary delights like shrimp tacos, empanadas, sweet tamales and Yucatan-style seafood dishes. Cultural and food tours are also a great way to learn about the influence of the Maya and Spanish on Cozumel. You can visit the Discover Mexico Park where you will talk with Mayans and watch them prepare specialty dishes as you stroll from one Mayan-style house to another within the park. Cultural and food tours are great family fun with a choice of culinary delights that are sure to please everyone in your group. 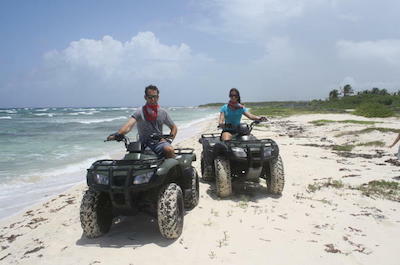 ATV and 4WD tours are one of the best things to do in Cozumel when you want to explore all of the island’s secrets from the jungle to the beaches. You can choose from a wide variety of vehicles from a dune buggy to jeep to an ATV to a convertible VW bug. You will be thrilled driving through the jungle until you reach the pristine beaches on the east side of Cozumel where you can include a snorkeling option for more underwater fun at Punta Sur or Mezacalitos. You can visit cultural sites like the Mayan town of El Cedral and the Mayan ruins at San Gervasio. You will stop at one of several beachside cantinas where you can eliminate your thirst with a cold beverage or enjoy a great island lunch before setting out again on your adventure of exploring Cozumel. Whichever ATV and 4WD tour you choose, you will be amazed at the scenery and the excitement as your adrenaline rushes through your body. 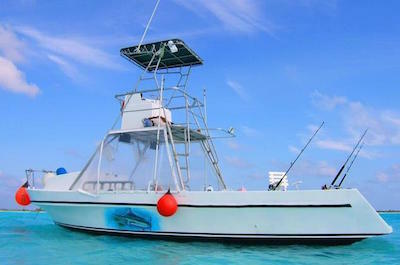 Deep Sea Fishing is a fun thing to do in Cozumel when you want to get out on the water and try your luck fishing. Deep sea fishing around Cozumel is fantastic and your professional guide knows where to catch spectacular fish like tuna, marlin and wahoo. Deep sea fishing is also relaxing and you will be amazed at the amenities on your state-of-the-art fishing boat. Your guide will help you with all your tackle needs and you will be fishing with top of the line products like Penn reels as well as rods. Deep sea fishing in Cozumel has been a fan favorite of people visiting the island for decades and we know you won’t be disappointed when you arrive back at dock with your fish tank full. When you are looking for things to do in Cozumel that are out of the normal then you should try swimming with dolphins and marine life encounters at Chankanaab Park. You will be fascinated by the marine life that surrounds Cozumel and the various options you have for tours. You can ride in a submarine to depths of 100-feet to scuba diving and swimming with dolphins to playing with a friendly manatee. There are private and small group tours available which will take you by coach or boat or by jeep. 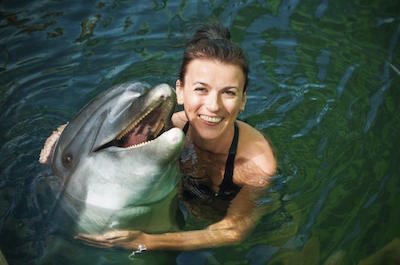 Swimming with dolphins and marine life encounters at Chankanaab Park will leave lasting memories of your vacation while you are learning about the abundant creatures that live in the ocean. The natural beauty of Chankanaab Park is unbelievable and you will have a fantastic time when you go swimming with dolphins and marine life encounters while you are visiting Cozumel. Sightseeing Tours are a fantastic thing to do in Cozumel and you will have many chances to learn about the natural and cultural history of the island. You can walk through the Maya ruins at San Gervasio, the small town of El Cedral and you can walk along the sidewalks of San Miguel to get a taste of the rich history of Cozumel. There are several forms of transportation available from renting a motorcycle to an open air safari-style bus to a self-drive buggy tour. Sightseeing tours also include other interesting options like snorkeling, tequila sampling, a scavenger hunt and you can even visit a chocolate factory. No matter which sightseeing tour you choose you will be thrilled with the activities. Biking Tours are one of the best ways for you to view the beauty of Cozumel and enjoy a leisurely ride around the island. Biking Tours will allow you to visit some of the more out of the way places on Cozumel as you peddle along the coastline. You can view the beauty of the uninhabited east side of Cozumel at such places like Punta Sur Eco Beach Park or include a snorkeling trip to Skyreef. 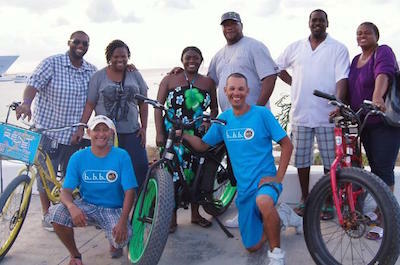 Most bike tours involve riding an electric bike so when you get tired you will still be able to move forward with ease. Biking tours are a great thing to do in Cozumel when you want to experience all the best places that the island has to offer.